The simple statistics – 284 yard par four - mask the devilish nature of this hole. The uphill blind tee shot has to be accurate. A marker post shows the line but and anything far left or more particularly far right of the marker could have you reaching in the bag for another ball. 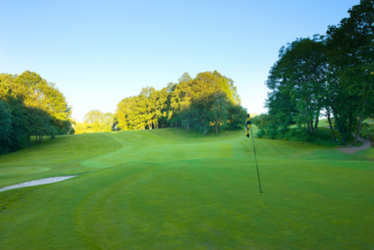 Once over the hill, the ball will collect into a relatively flat part of the fairway leaving a short pitch to a green set into the side of the slope. But beware, this is a fiendishly undulating green and very difficult to read.